Aldoush started singing when he was sixteen and picked up the guitar at age twenty-two. His playing was entirely Western and had no connection to his native music; he didn't truly begin to understand Persian music until after he left Iran in 1978. In 1987 he returned home. Upon entering Iran he became a child within a dreamland. He was drenched in a waterfall of beautiful music and culture that had been invisible to him during my youth. A myriad of positive changes occurred while he was there, and his musical perspective changed dramatically after his visit. He then moved to Northern California, and his changing vision began to coalesce and expand. He was finally living in an area that was a hotbed for a growing world music scene and contained the musicians who could be sympathetic to his artistic vision, and he formed the Human Exchange. Aldoush creates an exotic new sound, combining ancient Iranian village music with Persian lyrics written in contemporary poetic forms. In 1992 he wrote "The Child Within" album which was released on then pioneer record label in World Music - X DOT 25 Music in Emeryville, California. 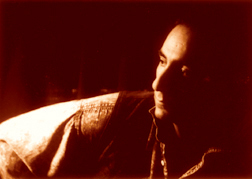 "The Child Within" was the first album created based on X DOT 25 Music's "Persian Art Music" concept. This album was the winner of the San Francisco Weekly 1993 Wammies Award for best World Music album of the year. His arrangements blend traditional Iranian classical folk melodies and rhythms with Western harmonies rooted in jazz and classical styles. Never before has Persian music been brought to the West with such creativity and innovation which is the result of his present awareness of both Persian and Western styles of music, and working towards bringing these vastly different cultures together has been his goal. In 1999 he released "This Life" which is a collection of Music he worked on for the 25 years with English lyrics. In 2001 he released "Rain and Dust" which is a collection of Persian music with electric guitars and 2 songs in English. 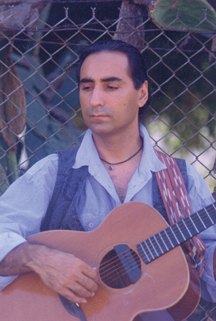 Then he moved back to his homeland and spend time with people there and then he co-created a new album "Desire to Fly" with one of his old friends Davood Ajir in 2007. Later on in 2007 he moved to France, where he now writes music for radio and also performs live with Davood. They have new group called "Wet Kind Of Blues" with a recent release: "Wolves Are Crying". You can check out Aldoush on Facebook.
" ...Resoundingly entrancing" - BAM Magazine. " ...Fusion...in favor of ensemble fluidity, which has a seductive and serpentine appeal" -SF Bay Guardian. 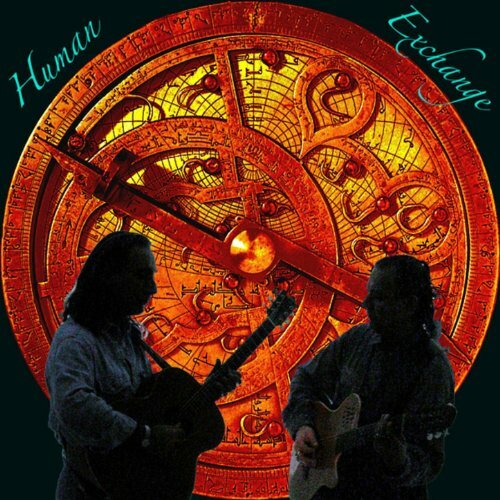 Aldoush & the Human Exchange create an exotic new sound on their CD "The Child Within", combining ancient Iranian folk music with Persian lyrics written in contemporary poetic forms by Koorosh Angali. Their arrangements pass through many different genres, blending traditional Iranian classical folk melodies and rhythms with Western harmonies rooted in jazz and classical styles. The result is a sound that contains both the raw effervescence of true Iranian village music and the uncanny communication found in a well rehearsed jazz band. Never before has Persian music been brought to the West with such creativity and innovation- winner of the San Francisco Weekly 1993 Wammies Award for best World Music album of the year, this music is a must for multiculturalists and world music enthusiasts alike. Listen and be enchanted. This album is the first album created based on X DOT 25 Music's "Persian Art Music" concept. Instrumentation: Vocals, Acoustic Guitar, Tamburak, Nazanin, Soprano Saxophone, Clarinet, Six-string Fretless Bass, Synthesizer, Synth Programing, Percussion, Tumbak, Daf. 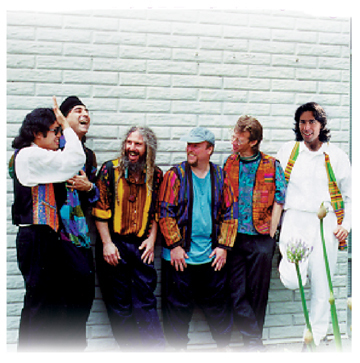 Winner of the San Francisco Weekly 1993 Wammies Award - Best World Music album of the year. I started singing when I was sixteen and picked up the guitar at age twenty-two. 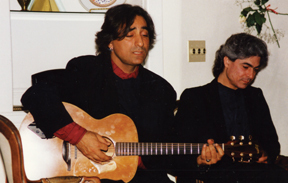 My playing was entirely Western and had no connection to my native music; I didn't truly begin to understand Persian music until after I left Iran in 1978. In 1987 I returned home. Upon entering Iran I became a child within a dreamland. I was drenched in a waterfall of beautiful music and culture that had been invisible to me during my youth. A myriad of positive changes occurred while I was there, and my musical perspective changed dramatically after my visit. I then moved to Northern California, and my changing vision began to coalesce and expand. I was finally living in an area that was a hotbed for a growing world music scene and contained the musicians who could be sympathetic to my artistic vision, and I formed the Human Exchange. This album is the result of my present awareness of both Persian and Western styles of music, and working towards bringing these vastly different cultures together has been my goal. I dedicate this record to the children of the world- our greatest treasure. What a dream it was, what a dream! With my inner eye blindfolded so benightedly? Oh, you enlightened free-spirited dove! Not of sorrow, but of joy- the spring is here. Paves your path with floral carpet singing "Godspeed"
Of this divine love, but all in vain. Instrumentation: Vocals, Electric & Acoustic Guitars, Drums, Percussion, Clarinet, Djembe, Keyboards, Fretless Bass, Soprano Sax. This album is a collection of his songs from his pre Award Winning "The Child Within" music era. Most songs in Persian, except "Melancholy Man" and "People Aren't for Sale" in English. This album is full of melodic songs performed by Aldoush. 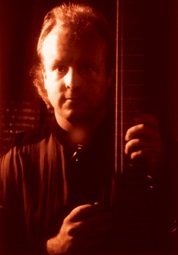 Electric guitar, acoustic guitar and some computer sequencing has created the lush background for Aldoush's powerful and heart touching vocals. He has integrated acoustic guitar, percussion, bass and drums with his own tasty electric guitar work. This album includes re-makes of Persian classic song "Gol-e Yakh" and a Moody Blues song "Melancholy Man". Songs 1, 2, 4, 5, 6, 7 Recorded & mixed by Aldoush Alpanian, Steve McRumme, Los Angeles CA. Additional mixing David Whipple, Berkeley CA. Why did you choose this life young girl? What drove you in this way young girl? Listen to me and don't forget that people aren't for sale, young girl. Instrumentation: Vocals, Electric & Acoustic Guitars, Daff, Tabla, Persian Tumback (Zarb), Percussion, Drums, Alto & Soprano Sax, Keyboards, Bass. East meets West on the new release from composer/producer Aldoush Alpanian. A newline up and a different perspective on this CD where progressive world fusion crosses rock boundaries and is influenced by Middle Eastern textures. This work is enhanced by Aldoush's expressive vocal work, lyrics of depth and intensity in English, and a band that cooks. 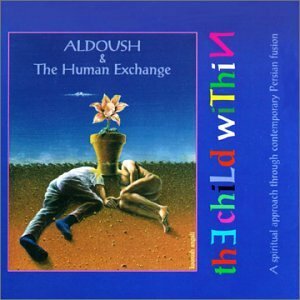 Here Aldoush has followed up his 1993 Wammies Award winning debut album "The Child Within" with a table turning tour de force in "This Life", changing his focus from the western influenced middle eastern world music of "The Child Within" to an epic album of world class rock. A richly textured musical and lyrical adventure . 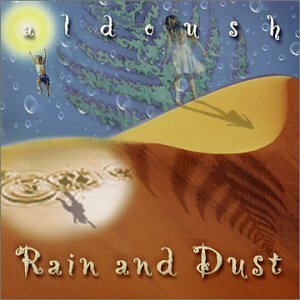 Although Aldoush has maintained his acoustic foundation, this album rocks with a soaring and soulful blend of pop, rock, reggae, blues, jazz and middle eastern influences. 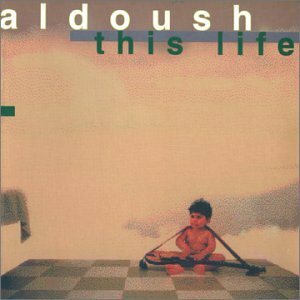 Aldoush has followed up his 1993 Wammies Award winning debut album "The Child Within" with a table turning tour de force in "This Life" his second release, changing his focus from the western influenced middle eastern world music of "The Child Within" to an epic album of world class rock. "This Life" is a richly textured musical and lyrical adventure (English lyrics), full of emotion, drama and surprise. Rarely has an artist of this quality changed directions so dramatically with such impressive results. He has augmented his lineup of acoustic guitar, saxophone, Persian steel string instrument (Nazanin), percussion, bass and drums with the immaculately tasty electric guitar work of Mark Holzinger. 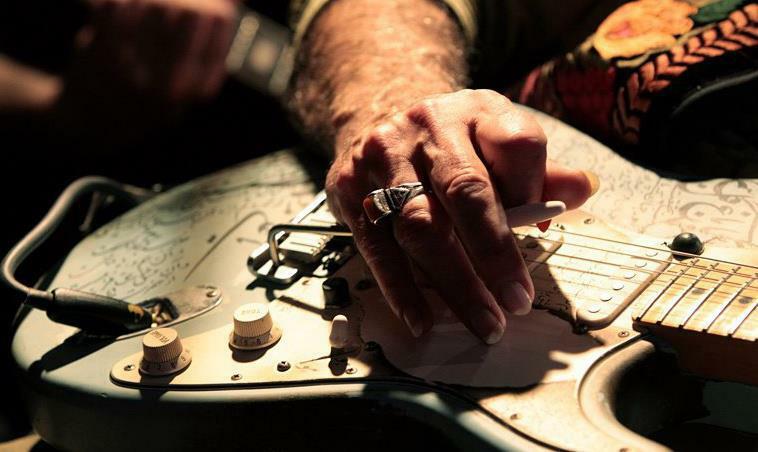 Although Aldoush has maintained his acoustic foundation, this album rocks with a soaring and soulful blend of pop, rock, reggae, blues, jazz and middle eastern influences. Each song is a passionate and powerful slice of life from the tongue in cheek desperation of the opening track "The Ride" to the bluesy meditative title track "This Life." There is also a dazzling diversity between the songs, from the poetry and promise of "The Call" and the challenging "Truth in Chains" to the dynamic rhythms of "My Private Storm" and the middle eastern celebration of "Journey to Jaffar." These songs flow effortlessly together on a variety of rhythms, thanks to the consistently compelling melodies of Aldoush. "This Life" is guaranteed to be as satisfying as it is surprising. C&P 1999 X Dot 25 Music Productions Inc.
How could I know? Why should I hide? How could I know?...Why should I hide? All lyrics used by permission. All rights reserved. Did you see that lovely face? Notice that lonely old man? Won't you open up these skies? "Nothing is what it appears to be"
"Why do you stand there waiting ?" Is anything worth so many lives ? Will this dust settle in our time ? What it takes to have some peace. that takes away all their empty fear. that brings us back to the ancient days. that steals away all our precious time. And all we have to do is stop and open up the gate. Am I changing ? Is the change too fast? Am I drifting ? Will I lose control ?